Wall Street’s eyes will be on chip maker Nvidia (NVDA) when it announces its Q4 2019 earnings on Feb. 14. The Santa Clara, California-based company has hit quite a rough patch over recent quarters, and in January revealed that it was slashing its Q4 revenue estimates from $2.7 billion down to $2.2 billion for the quarter. The cut comes as China’s economy begins to slow and as consumers become more hesitant about discretionary spending — putting a damper on graphics card sales. Key data points for the company will be the number of graphics processing units (GPUs) sold, the health of its data center business, and its overall performance in China, where it has major exposure. And based on its guidance update, none of those numbers will look very pretty. Nvidia, named Yahoo Finance’s company of the year in 2016, faces troubles in China, where the ongoing trade war with the U.S. has added to a slowed economy and cut into consumer discretionary spending. 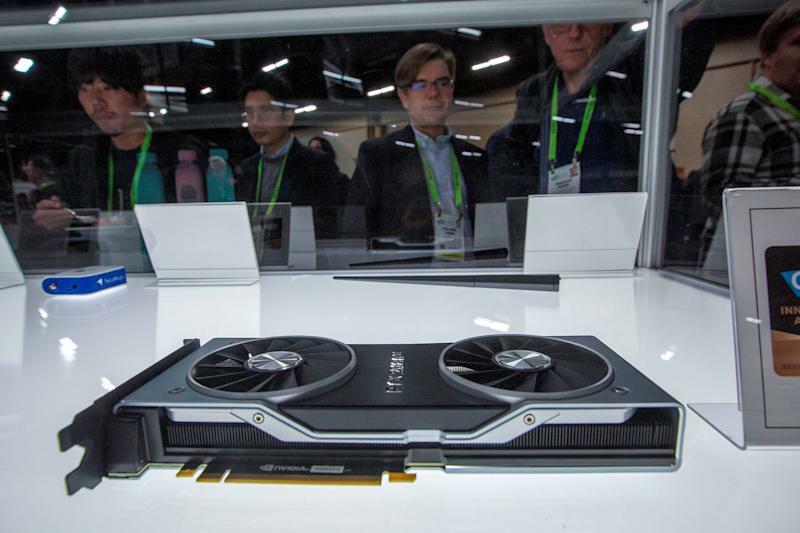 China is one of the Nvidia’s largest markets, bringing in $704 million in revenue in Q3 2019. That’s surpassed only by Taiwan, which captured $929 million in revenue, and the nebulous Other Asia Pacific, which brought in $742 million. With fewer gamers purchasing GPUs in general due to a lack of games that take advantage of the Nvidia’s new RTX graphics chips and the slowing economy taking money out of consumers’ pockets, China’s gamers could have a major impact on Nvidia’s Q4 earnings. Data center sales, which accounted for $792 million in revenue during Nvidia’s third quarter, are also expected to take a hit in Q4. In his shareholder letter, Huang explained that global economic trends lead to customers holding off on closing data center deals in the last month of the quarter. Finally, Nvidia is also still dealing with the fallout from the cryptocurrency bubble bursting. With prices of currencies like bitcoin plunging over the past year, fewer consumers have been purchasing the graphics cards they originally sought to create mining computers. The backlog of inventory meant Nvidia held off on pushing out newer graphics cards, which cut into potential sales of the updated products. It’s not just a lack of interest hurting crypto-related sales, either. Dedicated application specific integrated circuits or ASICs, have proven to be better mining machines for cryptocurrency than the general purpose graphics cards that Nvidia produces, resulting in fewer sales for the chipmaker. While Nvidia has made a turn into the artificial intelligence and machine learning businesses in recent years, the company still relies primarily on gaming for the lion’s share of its revenue. In Q3 2019, Nvidia’s gaming division, reported revenue of $1.76 billion, more than half of the company’s total quarterly revenue of $3.18 billion. Suffice it to say, gaming is a crucial component of Nvidia’s business. In August, the company debuted its new RTX line of graphics chips including its flagship RTX 2080. That was followed in January by the launch of its RTX-based laptop graphics chips. But those chips cost a boatload of money. The entry-level RTX 2060 will cost you about $399, while the top-of-the-line RTX 2080 Ti can cost as much as $1,300. The RTX cards and chips are based on Nvidia’s Turing architecture, which is the ability to use ray-tracing technology, which provides increased visual realism when it comes to the lighting in games. The better the lighting, the better the overall image. But as Nvidia pointed out in its shareholder letter, gamers aren’t quite sure if the benefits the cards offer are worth dropping a good chunk of change on just yet. 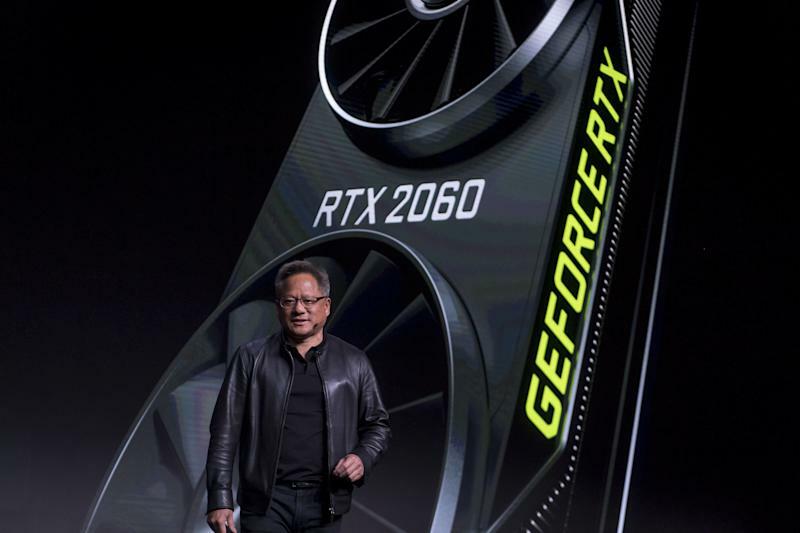 “These products deliver a revolutionary leap in performance and innovation with real-time ray tracing and AI, but some business customers may have delayed their purchase while waiting for lower price points and further demonstrations of RTX technology in actual games,” CEO Jensen Huang wrote in his letter to shareholders. So far, the biggest title to take advantage of the RTX’s ray-tracing technology is EA’s “Battlefield 5,” but as EA pointed out in its own earnings report, “Battlefield 5’s” sales were a disappointment. Nvidia’s gaming division is heavily dependent on the whims of the gaming market in general. And while it still needs to ensure that side of the business remains a focal point for the company, it will be important to see if its AI and data center businesses can help it weather any troubles in the gaming world.